Bassenthwaite Parish Rooms is located in the small, Northern Lake District village of Bassenthwaite, near the lake of the same name. The village boasts easy access to many northern fells and Wainwrights—including England’s 4thHighest Mountain Skiddaw—a nice low-level walk to the lake, and a lovely country pub, The Sun Inn, offering local ales, a friendly atmosphere, and hearty local dishes. 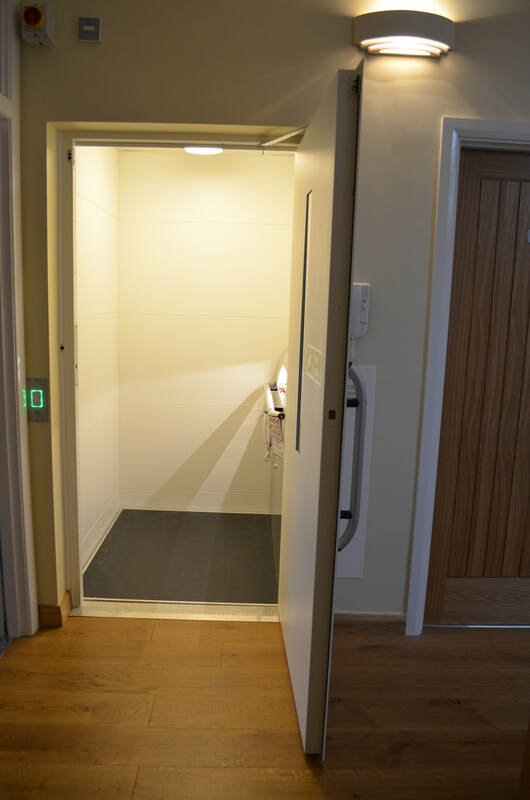 The village is just 7 miles from the well-known tourist town of Keswick, a mecca for the UK's climbing, fell walking, and outdoor enthusiasts, as well as having a lot of pubs, bistro’s, restaurants, and entertainment options. 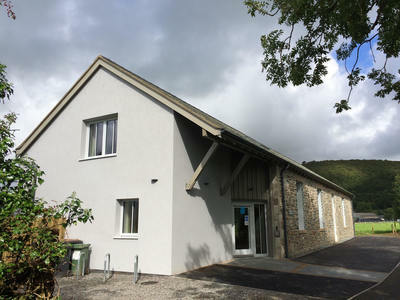 Cockermouth—just 7 miles in the opposite direction—also offers a wide range of eating options, shopping, and some different cultural aspects with the Wordsworth’s House Museum. 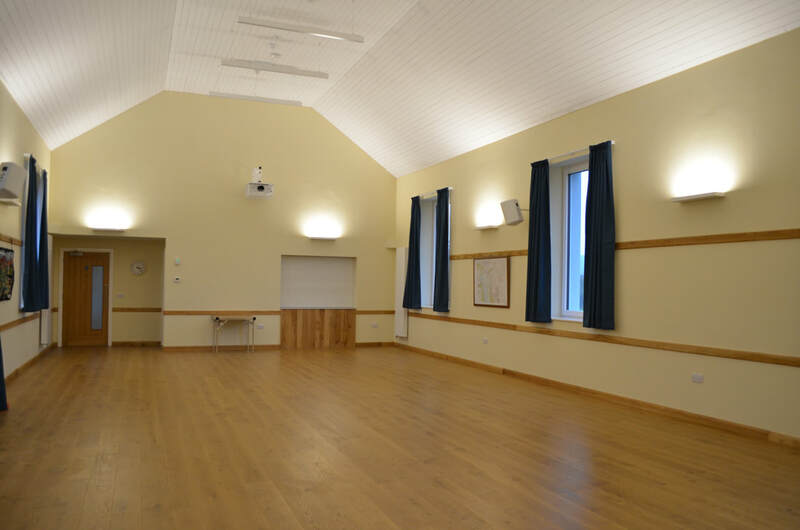 The Parish Rooms is a newly refurbished village hall of Bassenthwaite that has been used as a weekend stay venue by groups for many years. 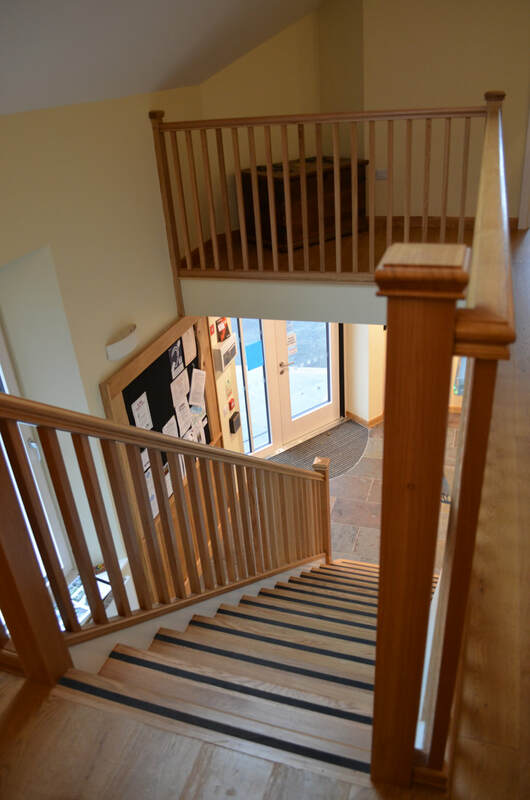 Before refurbishing we listened to guest feedback on the venue and incorporated that into the new build. As a result, there are a lot of extras to make group stays more comfortable. Popular with walkers, cyclists, canoeist and climbers alike, The Parish Rooms makes a perfect base for groups who want to be in the heart of the Lake District, without blowing the budget. 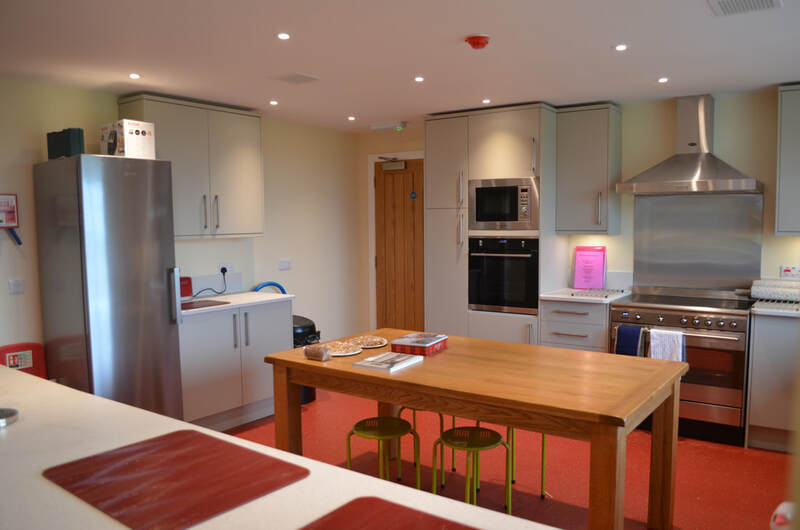 The Parish Room has fantastic self-catering facilities with a well equipped kitchen, large enough to easily cater to large groups including all pots, pans, plates, glasses, bowls etc. 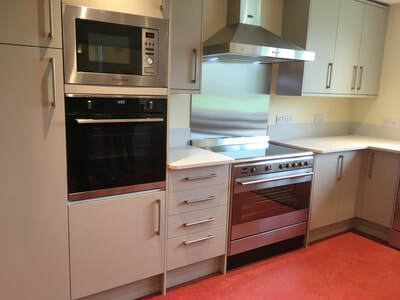 There is a large commercial oven and hob, microwave, dishwasher, large fridge and separate freezer. If you don’t want to cook the Sun Inn is just a 5-minute walk away and will cater for large groups, but you do need to book especially in high season. There are 2 downstairs bathrooms each with 2 sinks and toilets, along with a large wet room. Also downstairs is the main hall which also doubles up as a large sleeping space for up to 30 people. 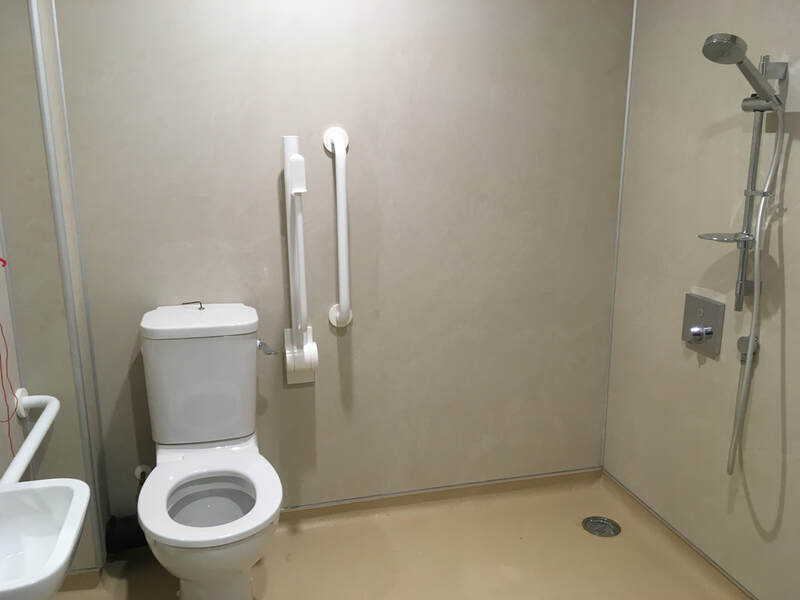 It can be used as mixed gender groups as there are 2 rooms along with separate showers and bathroom facilities and upstairs there is a further toilet and shower along with a cozy TV lounge which is equipped with a large comfy sofa, dining table, and sink. This room can also be used as a sleeping area for up to 10 if you need to separate the sexes or as a leader/teacher sleeping area. 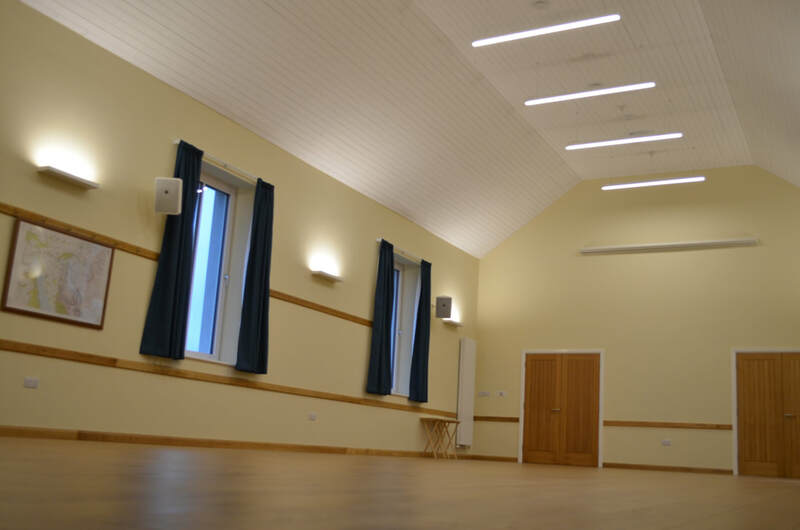 The Parish Room is not a purpose built hostel and as such you will need to bring with you your own camp bed/airbed and sleeping bag. 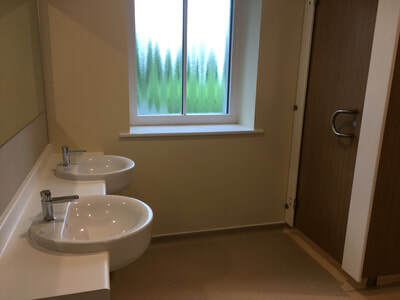 It is however not as basic as a camping barn; it is a warm comfortable space with modern facilities so I would describe it as Group Glamping and a fantastic group budget accommodation that can cater for groups of 30 people comfortably, however more have used the facilities so please contact us at bookbassenthwaiteparisgroom@gmail.comto discuss your individual requirements. Please note, we do not accept hen or stag groups at the Parish rooms. 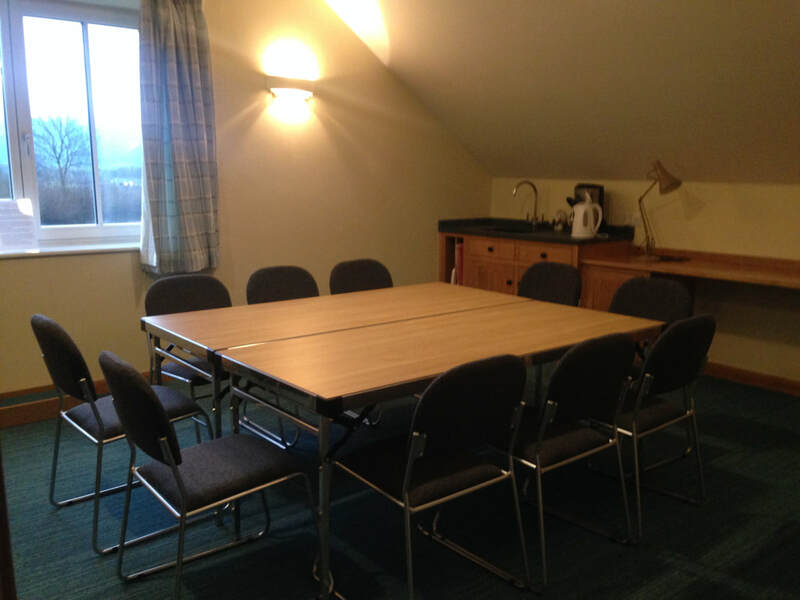 The price is £10 per person per night based on a minimum of 18 people making The Parish rooms an excellent budget accommodation for groups wishing to visit this gorgeous corner of Cumbria. But if you have any questions or queries, please get in touch by e-mail or phone to discuss your requirements, as I’m sure the venue will suit all your requirements and at prices from just £10 per person per night depending on group size this well heated, well equipped, modern space should suit your needs. Click Here to view recommended walks near the Parish Room! The Parish Room is not a purpose built hostel and as such you will need to bring with you your own camp bed/airbed and sleeping bag. It is however not as basic as a camping barn; it is a warm comfortable space with modern facilities so I would describe it as Group Glamping and a fantastic group budget accommodation that can cater for groups of 30 people comfortably, however more have used the facilities so please contact us at bookbassenthwaiteparisgroom@gmail.comto discuss your individual requirements. For more information about the Lake District, take a look at the Lake District National Park website, by clicking here. 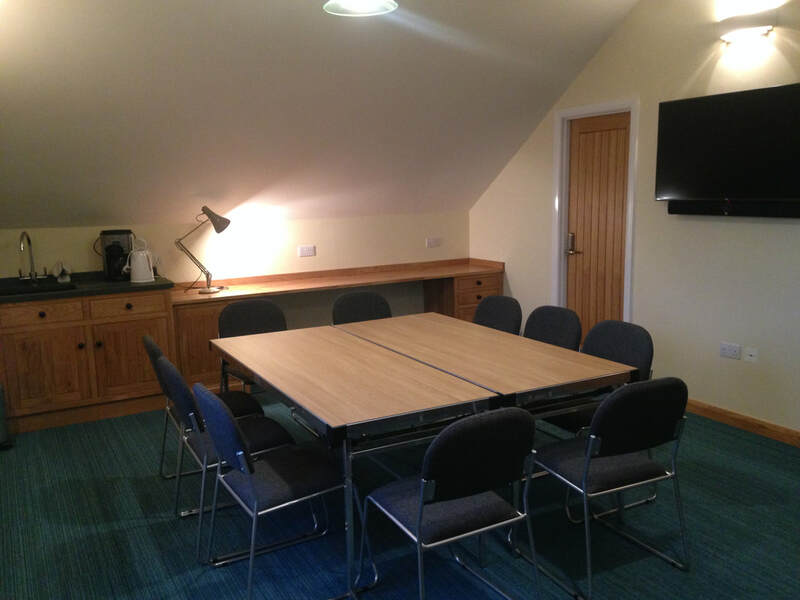 The Parish Rooms is available to book from 2pm on the day of arrival until 11am on the day of departure. Weekend stays are for a minimum of 2 nights unless there is last minute availability. Bank holiday stays are for a minimum of 3 nights. £180 per night or £10.00 per person per night—minimum weekend stays 2 nights. 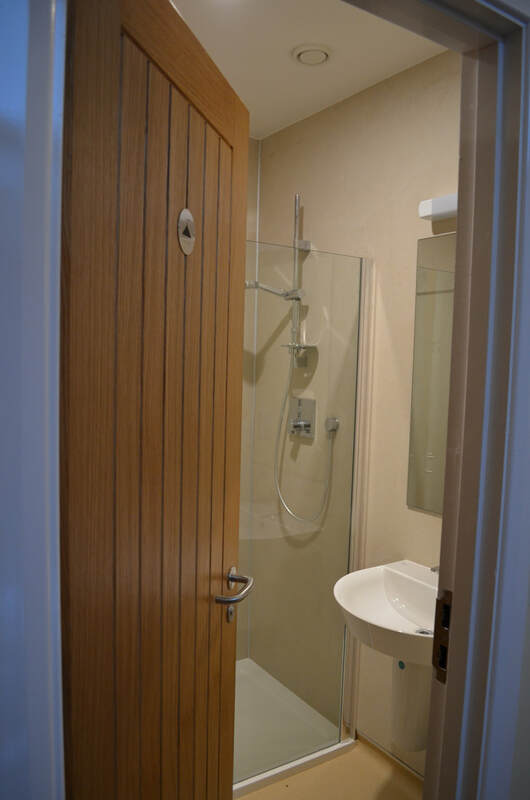 To secure the parish rooms we require a £100 non-refundable deposit within 14 days of your provisional booking. If you have not paid the deposit in that 14 days we will no longer hold the dates for you and will remove your provisional booking until we receive a deposit. The balance is then due 1 month before arrival. We will contact you 6 weeks prior to arrival to remind you that the balance is due, we will then require payment on or before 1 month before arrival. This is the standard accommodation charge - we do not have peak/off peak rates, however, we do have limited bookings throughout the year so please book as early as possible to avoid disappointment!